20:03 | Lima, Feb. 6. The Lima 2019 Pan American and Parapan American Games not only benefit athletes as the important works carried out for such event will serve society as a whole. 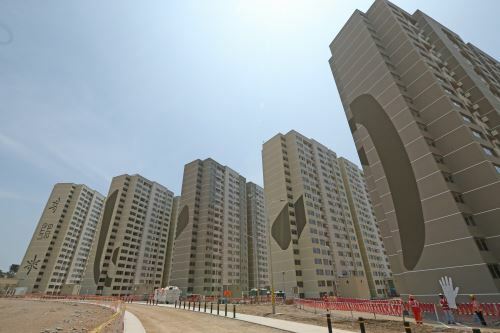 The high-quality sports and housing infrastructure being built for the Games will be one of the best contributions delivered by the completion of the Pan American and Parapan American Games, which will take place for the first time in Peru. It should be noted that 62% of the sports infrastructure for Lima 2019 already exists and only requires remodeling works, which are being carried out in order to be used. 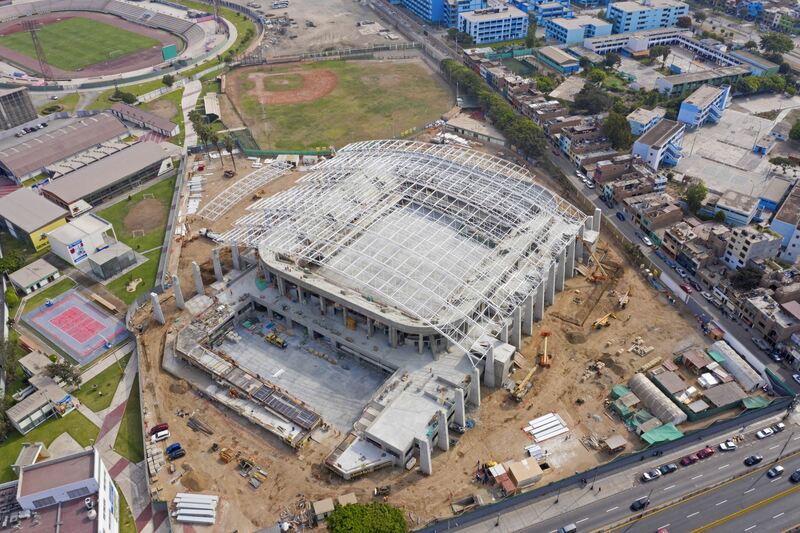 The five largest projects for Lima 2019 are currently under construction: The Pan American and Parapan American Village, the Andres Avelino Caceres Sports Complex in Villa Maria del Triunfo, the National Sports Village - VIDENA, the Callao Regional Sports Village, the San Marcos Stadium, and the Villa El Salvador Sports Center, and the upgrade of San Marcos Stadium. Construction is already underway and 95% of these works will be completed by March. It is the main housing venue in Lima 2019. The construction of the seven towers containing 1096 apartments has been concluded. There are 548 apartments of 70m2, 212 of 73m2, and 336 of 75m2; the last ones have been equipped for disabled people. The exterior works such as bicycle lanes and sidewalks are in progress, these will feature tactile paving. It will be the first accessible housing complex in Peru. 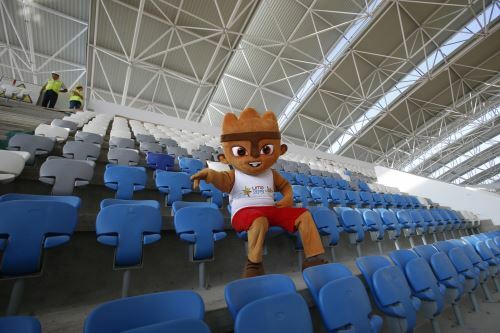 It is the main competition center in Lima 2019. There, the works are making progress with a great rhythm. The roof of the velodrome and the paving for the track's installation in the Athletic Stadium, which will be world-class, are underway. Furthermore, the roof of the Aquatic Center has been concluded, thus meaning it will have official, warm-up, and diving pools. The Bowling Center will soon have the 24 floors that will be installed for the competition, and the Sports Center 3 has also shown significant progress in its finishing. 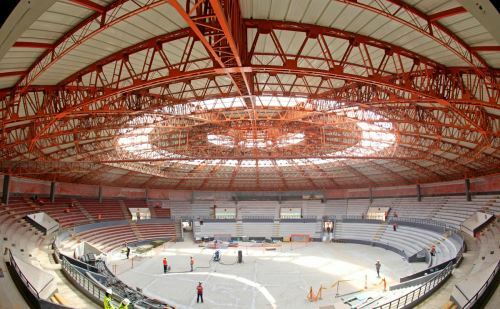 The remodeling of Miguel Grau Coliseum's roof has been finished, as well as the new installations inside. 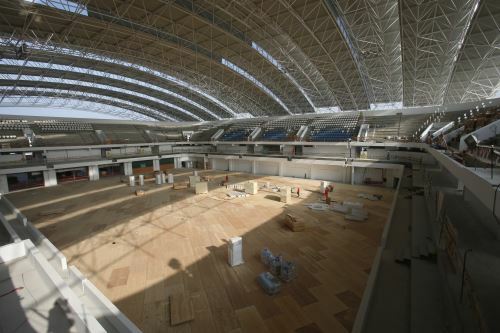 It will be the venue for Boxing, Wrestling, and Goalball. The works on the modern Sports Center, for Volleyball and Taekwondo, are also underway. It already has the stands, and the placing of the metal structure for the roof is almost complete. In Universidad Nacional Mayor de San Marcos Stadium, the installation of artificial turf has already begun, the facilities have been remodeled, and seats have been placed in the stands. It is the most important center for team sports. 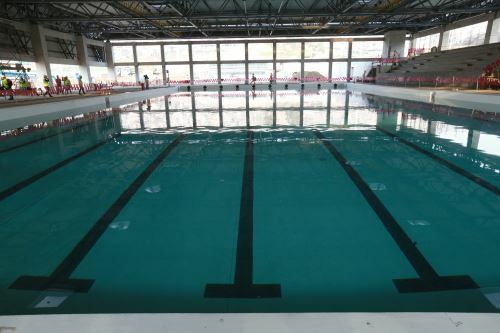 Water tests are being carried out in the Water Polo pool, after having finished the roof and stands. Plus, the Softball Stadium has artificial turf in its two fields, while seats are being installed in the stands in the Baseball one. All the fields, including Hockey and Rugby, have their platforms ready to begin the installation of artificial turf.